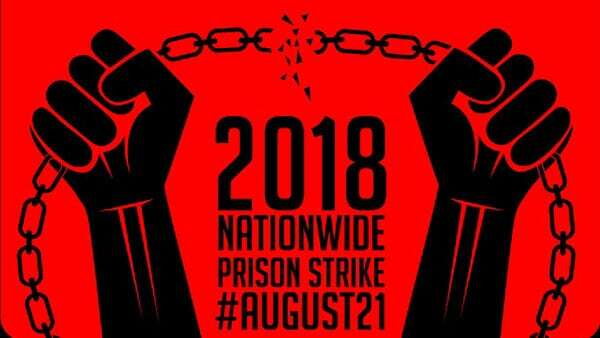 The nationwide prison strike that began on August 21st continues into its second week. People behind bars are demanding basic human rights, an end to forced labor, an end to the Prison Litigation Reform Act, and more. NPQ’s Cyndi Suarez covered the strikers’ tactics, demands, and connections to the community when the strike began last week. News of the strike has spread organically, through people sympathetic to the movement and the organizers themselves. The reaction from mainstream news and the government, however, resists the reframing of the conversation about justice and human rights that would be the appropriate response to the demands. A pitiful handful of politicians have bothered to respond at all. Reports of other prisons joining the strike spread through social media, as organizers and activists among sympathizers and incarcerated people tried to get the word out. In some places, supporters rallied outside the prisons, drawing attention to the plight of those inside. Organizers have leveraged grassroots tactics to authentically spread their message. The Atlantic’s Vauhini Vara writes, “To start getting the word out, they didn’t target big news organizations. Instead, organizers posted about the imminent strikes to their own social-media followers. And they contacted publications with an activist bent.” The strikers did not believe that mainstream media outlets would give them a fair hearing, since accounts from people in prison, who often need to remain anonymous for safety reasons, cannot be verified the way interviews normally are. In some respects, their fears were justified. Though the strike has spread through several states and has an active social media following, real action on the demands has not been forthcoming and many outlets have hesitated to report the prisoners’ words. Traditional reporting is stymied by prison officials who do not wish to admit the strikes occurring on their watch. Madison Pauly at Mother Jones wrote, “details about it have proved nearly impossible to confirm through official channels, with corrections officials almost uniformly denying that any protests or disruptions are underway. Only three state prison systems would acknowledge strike-related incidents.” Pauly spoke with prison activists who said that hundreds of people were going on hunger strike, refusing to work, and boycotting the commissary. Of course, none of these actions are obviously visible to people on the outside. People also shared stories of resistance, such as native Hawaiian inmates sharing their language and celebrations as a way of maintaining their identity. Others shared messages of support. We have had incidents where media have had the opportunity to interview imprisoned prison strike leadership and have refused to print their words because the prisoner refused to give out his government name out of an understanding of the very real dangers of reprisal. Opportunities to interview prisoners who are connected to the organization of this protest from the inside are precious and we will not squander them again on institutions who don’t understand and value what is at risk for prisoners in this moment.